Beside the regular collection we have many other collectors items. We also store the regular items. and if we can deliver it to you. 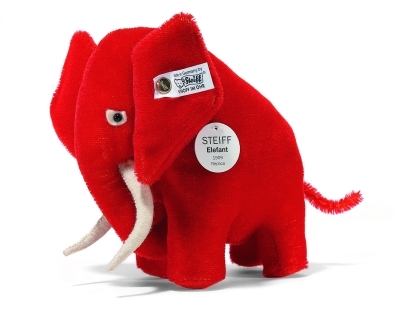 This wonderful red elephant is something different again. He is 17 cm. / 7" tall and limited to only 1009 pieces. He is made of short red mohair and filled with wood shavings.